Behold! 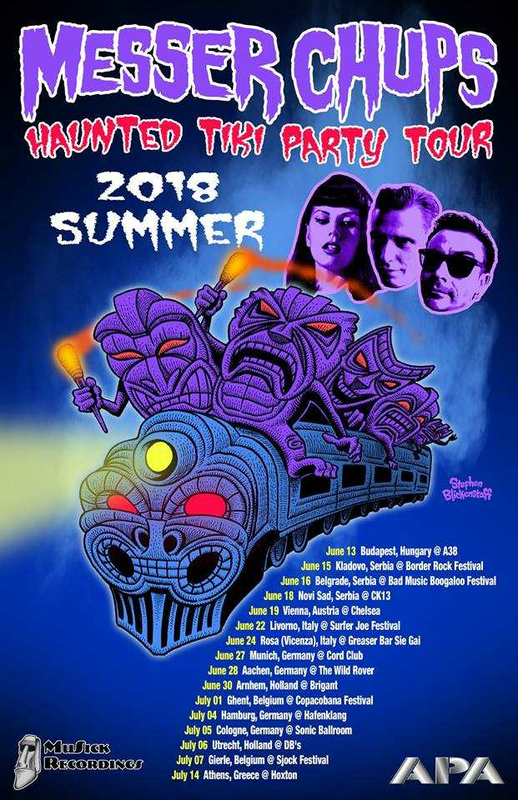 Russian-based Surf Rock legends Messer Chups are currently on European tour! They will be playing 3 concerts in Serbia (Kladovo, Belgrade, Novi Sad). This crazy power trio is promoting their latest album Taste the Blood of Guitaracula. Messer Chups will be part of Bad Music Boogaloo #2 and will perform on June 16th in club Elektropionir. They will be supported by L.A. Witch and Moussaka. Tickets may be bought for 1400 dinars (1600 dinars on the day of the event) in Sikarica and Pub Brod. So buy those tickets and prepare for summer surf rock madness!